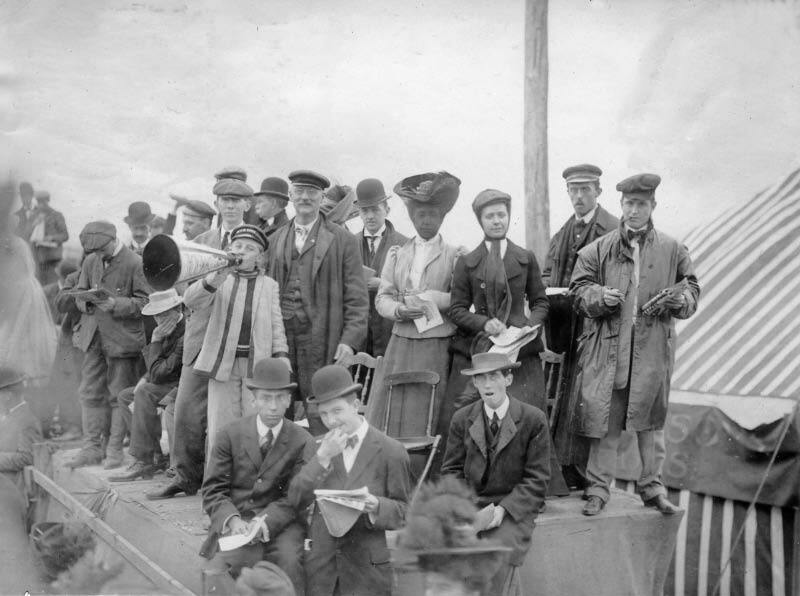 Chris Heisig: "What kinds of concessions were available at the Vanderbilt Cup Races?" Chris, great question! Below are some examples of the services and goods available near the grandstands. 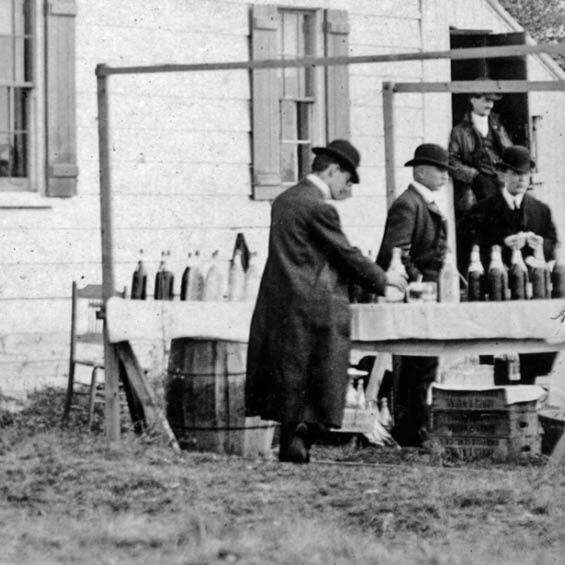 This concession stand was located just east of the grandstand on Jericho Turnpike near Powell Avenue. Ironically, a 7-11 store is now located on this spot. 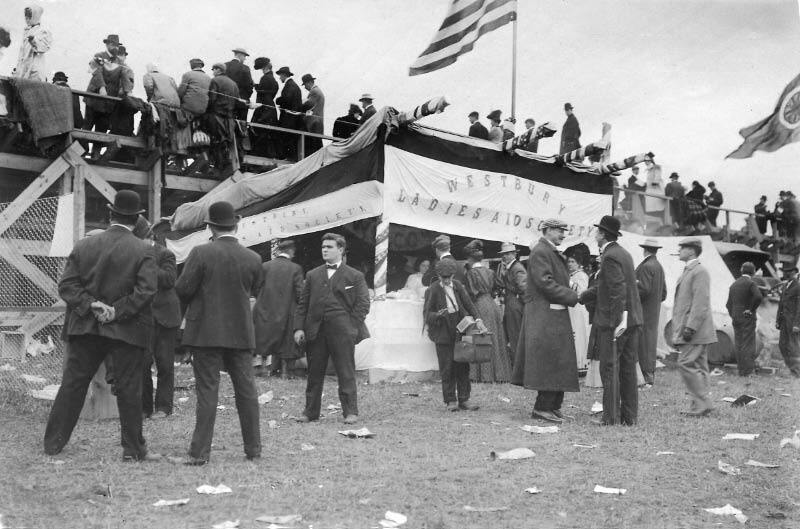 Behind the 1906 grandstand, the Westbury Ladies Aids Society sold sandwiches and sodas. 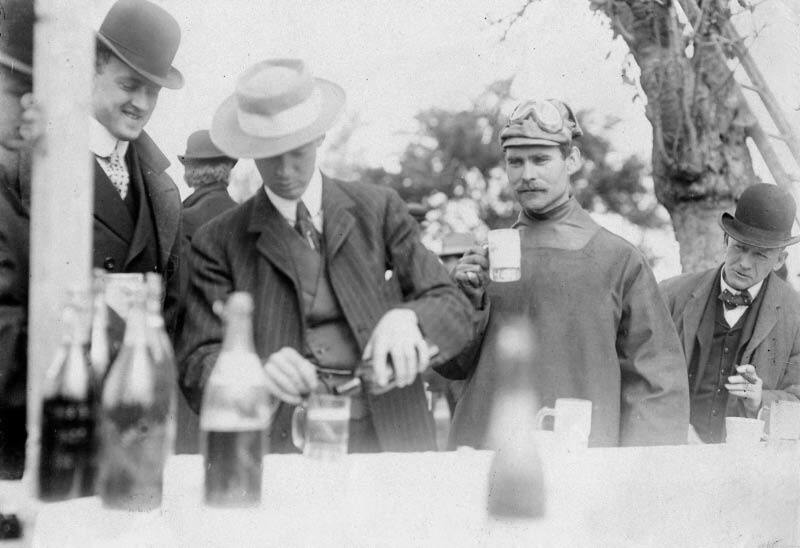 Driver Joe Tracy was captured making a purchase before the race. 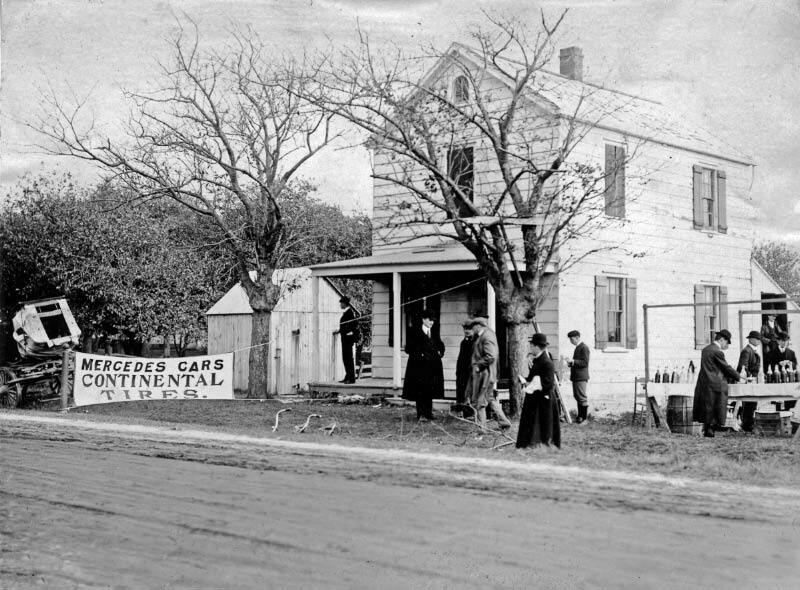 This stand promoted the Long Island real estate. 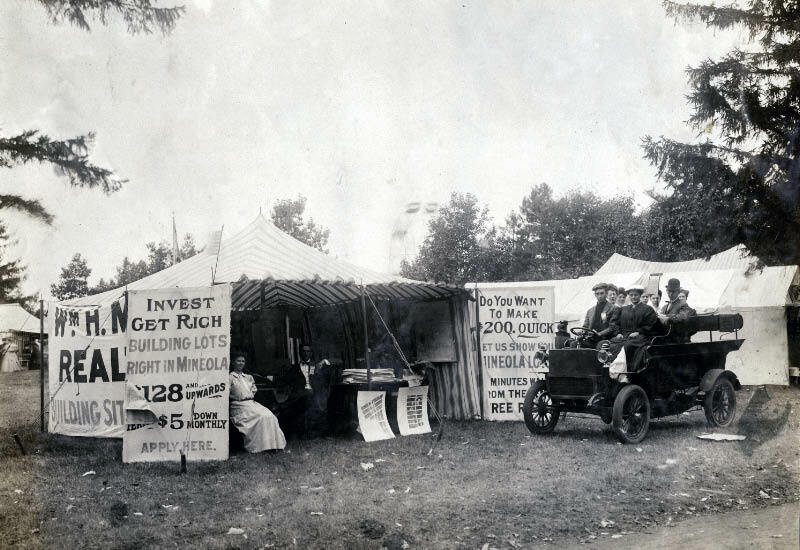 If a spectator followed the "Invest Get Rich" advice, the $128 investment would be worth over $100,000 today. 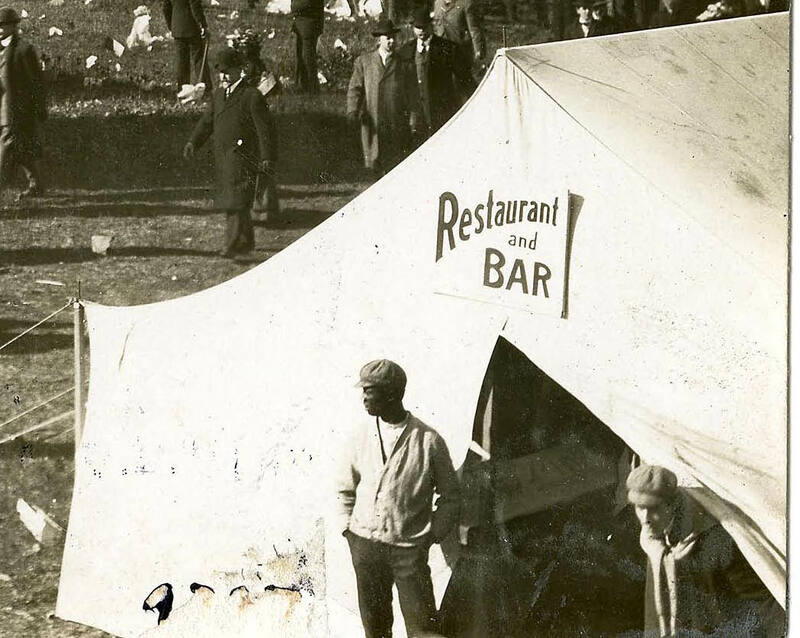 The tent behind this unofficial grandstand also sold goods and services and, maybe, the boy's megaphone. 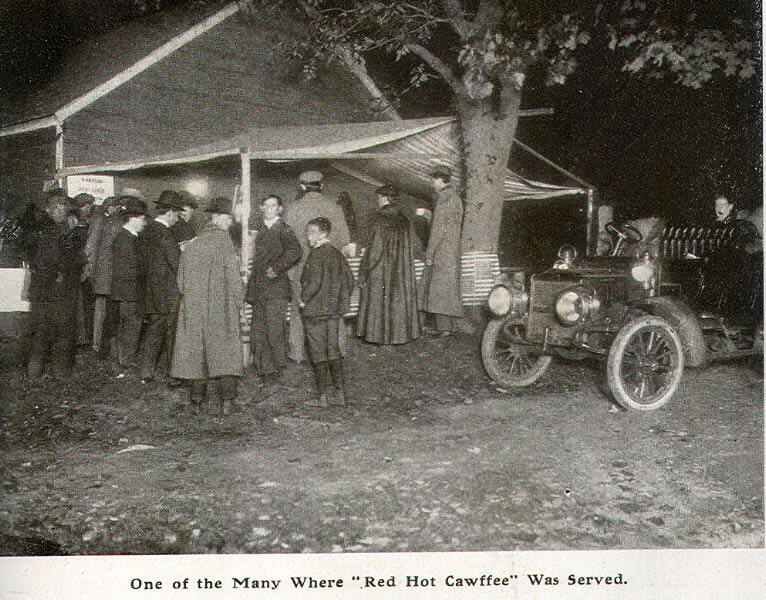 Since the races began at dawn, coffee was a big seller. 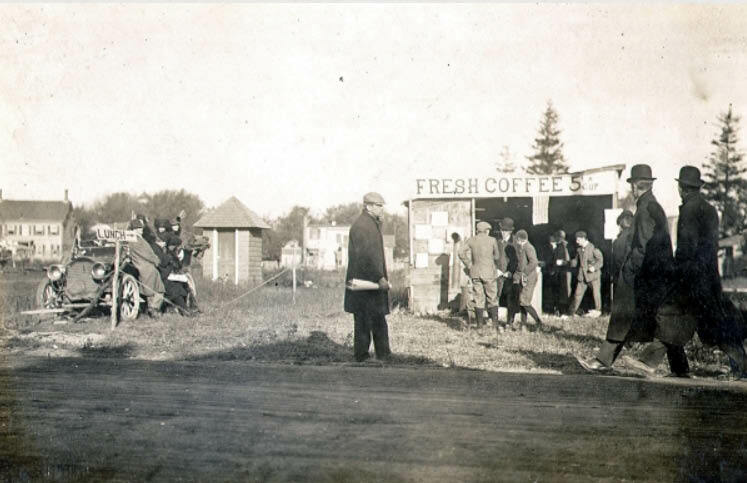 In 1910, a cup of coffee was only 5 cents. 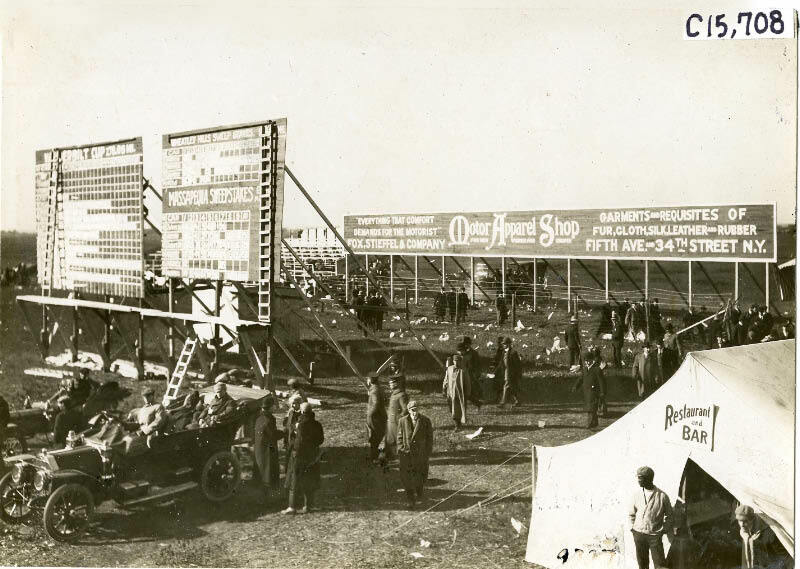 This restaurant and bar was on the north side of the Motor Parkway directly across from the grandstand. 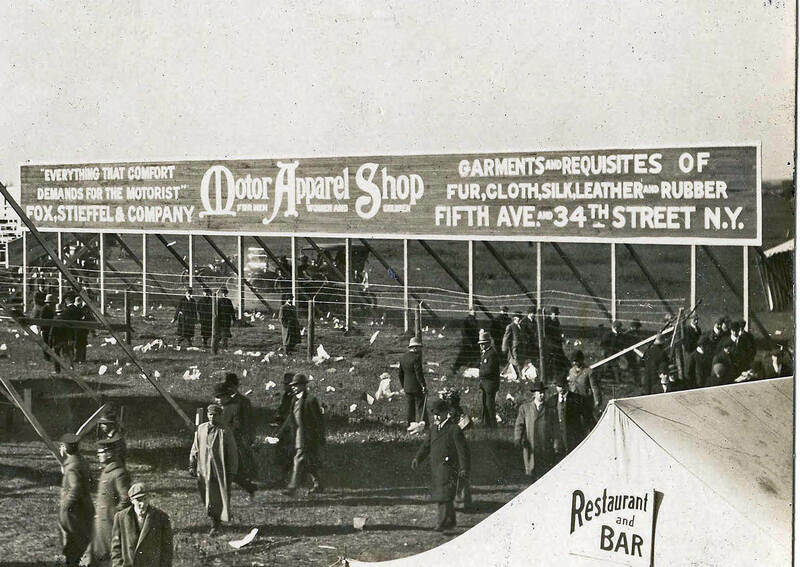 Note the sign promoting the Motor Apparel Shop located on Fifth Avenue and 34th Street in Manhattan. The shop had "Everything That Comfort Demands For the Motorist." Love looking closely at the photos, the enlarging feature is great!